Our range of products include commercial bakery ovens. On offer from us is a wide collection of Commercial Bakery Ovens, which is fabricated using premium grade stainless steel and partial stainless steel. These ovens are offered by us in various sizes and specifications. Apart from this, we make sure that these products are delivered within the stipulated time frame at patrons' premises. 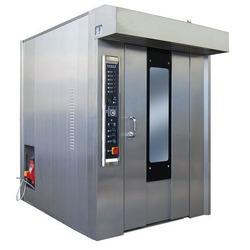 Looking for Commercial Bakery Oven ?